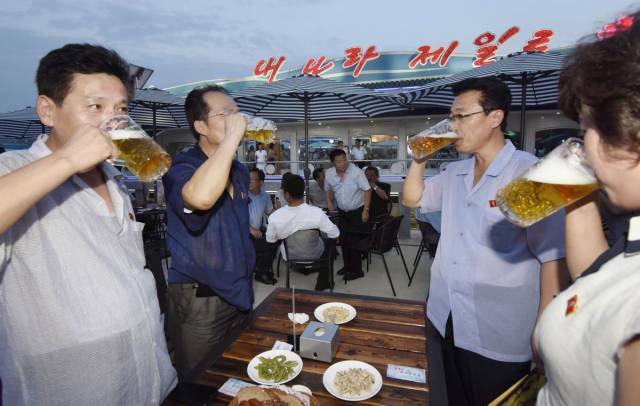 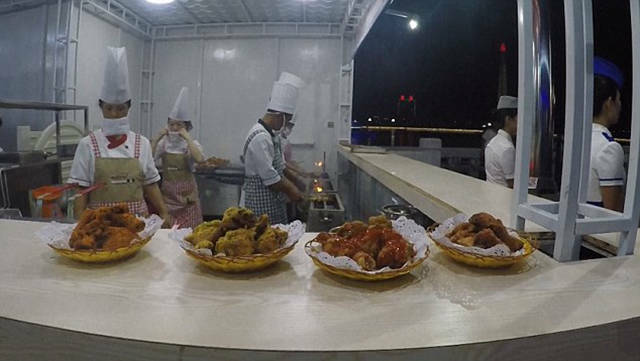 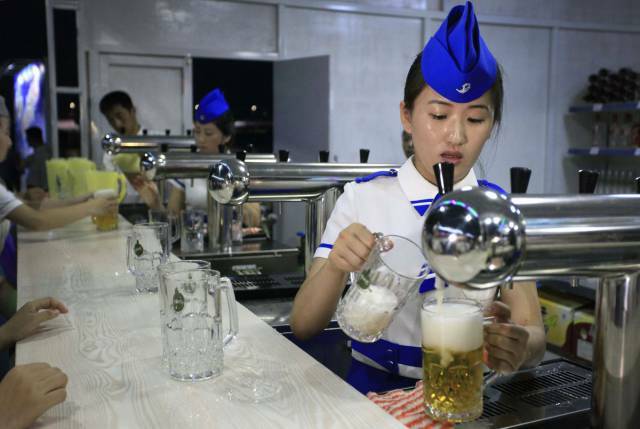 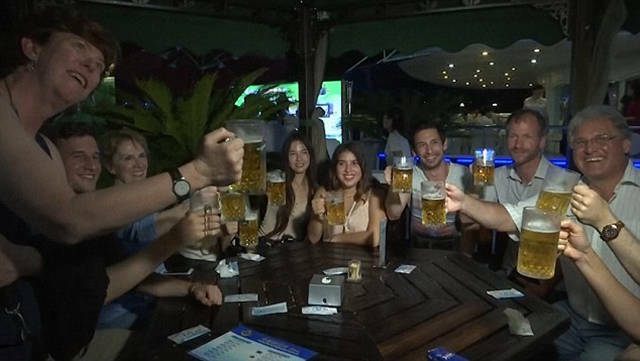 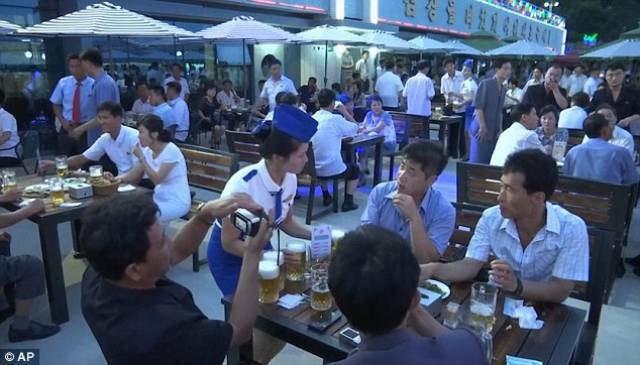 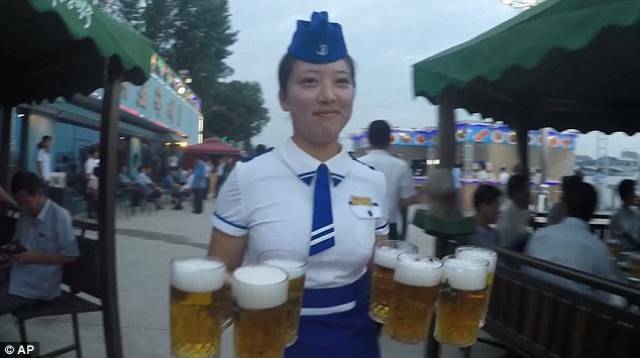 Last Friday, August 12, 2016, the first ever beer festival kicked off in Pyongyang, North Korea which will last 20 days. 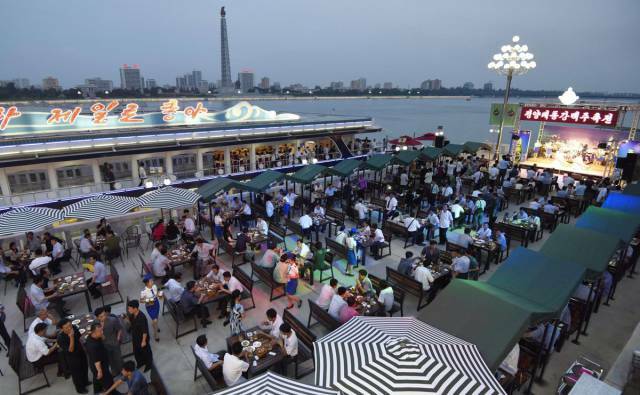 800 people visited the event on its first day. 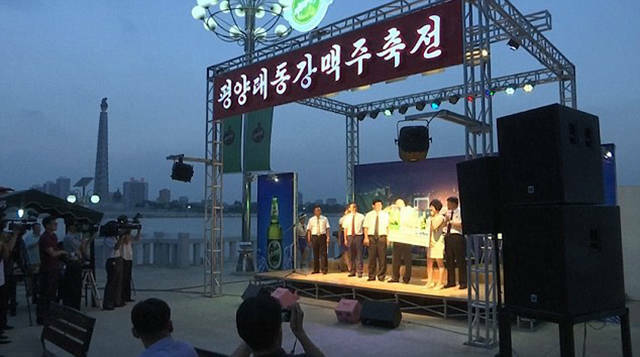 It was organized to promote Pyongyang's home brewed Taedonggang beer. 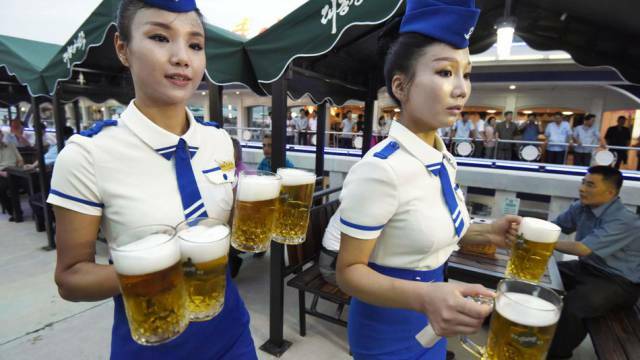 Apparently, Kim Jong-un decided to arrange his personal Oktoberfest. 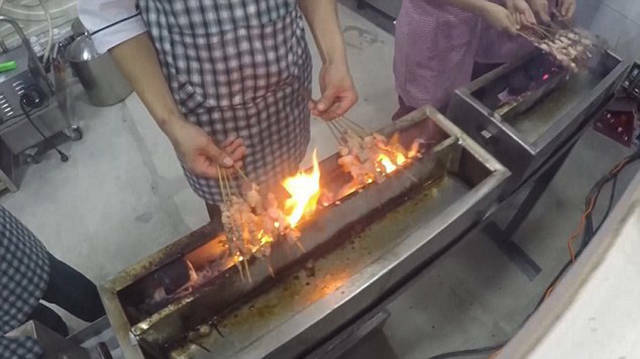 Yeah , looks real fun!